Originally printed by the Queer Avengers (Wellington). Neither Washington nor Moscow, but International Queer Liberation! QA are standing in solidarity with Russian LGBTI communities currently under attack from the fellow countrymen. 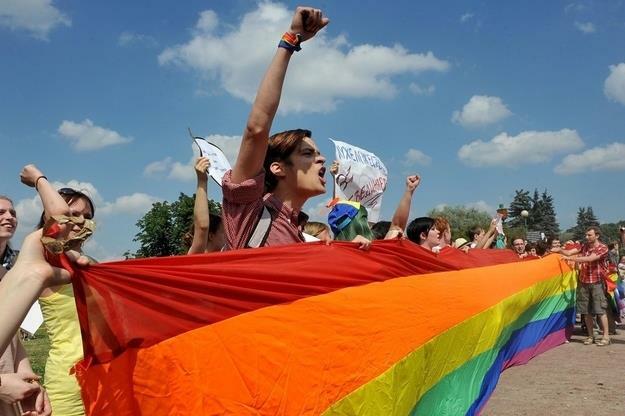 Fraser contacted the Russian LGBT Network informing them of the solidarity action “they emailed back saying “It’s highly appreciated by us – do it and be noisy!”. “People worldwide are angry and sending a clear message to Putin. This has to end and end now. The reported death of the teen who was tortured and beaten by a group of thugs is one death too many. We mourn for his loss.” Says Fraser. Queer Avengers are holding a solidarity protest outside the Russian Embassy in Wellington on Friday from 4.30 p.m.